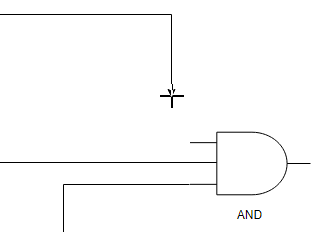 Charting out logic diagrams has never been easier. 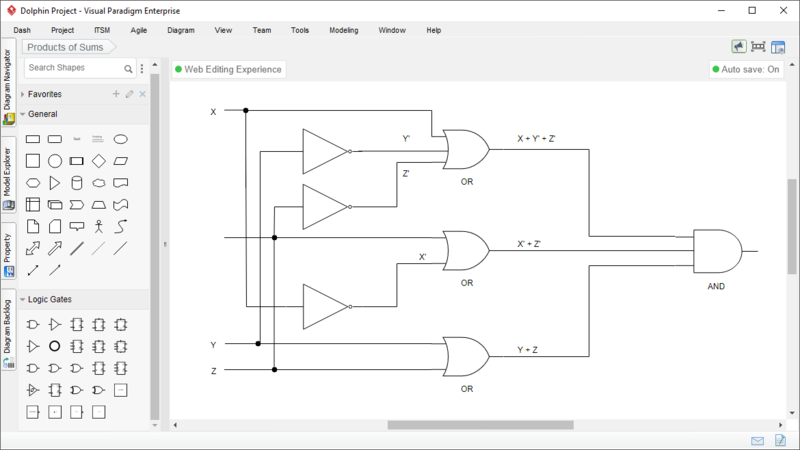 Visual Paradigm logic diagram tool provides a wide range of unique features and logic symbols to help you create beautiful and professional logic diagram in minutes. 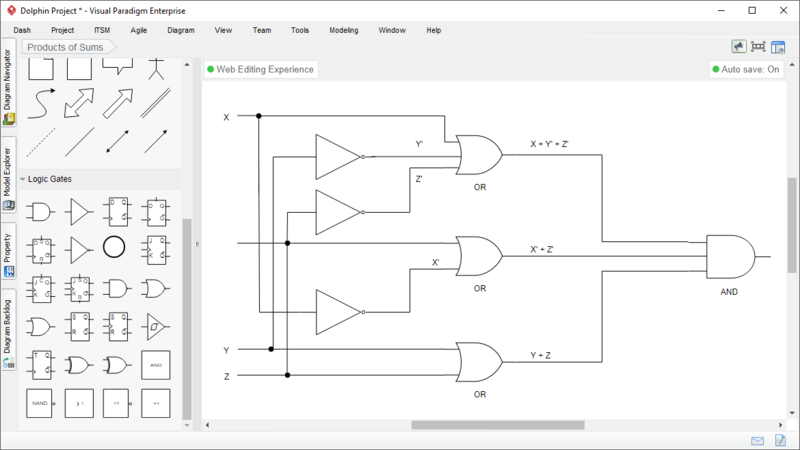 No matter you need to design a simple or complex logic gate, you will find Visual Paradigm a logic diagram software that you love working with. 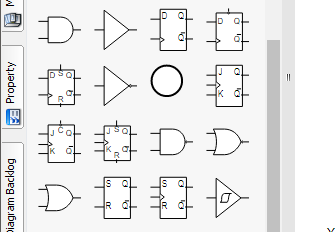 Wide range of logic diagram symbols is available for you to create both simple and complex logic diagrams. 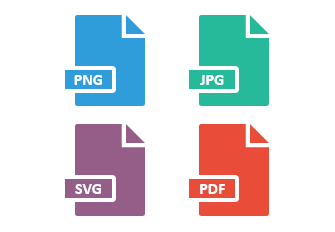 Reduce your design time dramatically with features like drag-and-drop shape creation and connection, alignment guide, space tool, quick formatting and more. 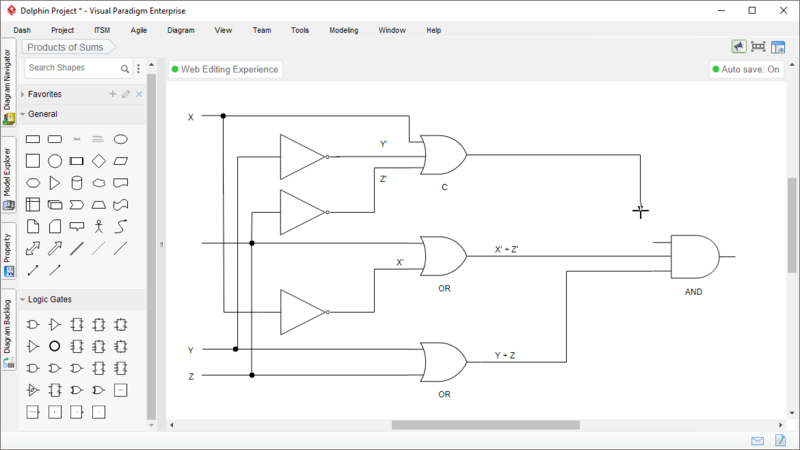 Easily share logic diagrams with others by exporting diagrams to commonly-used file formats such as JPG, PNG, SVG and PDF.